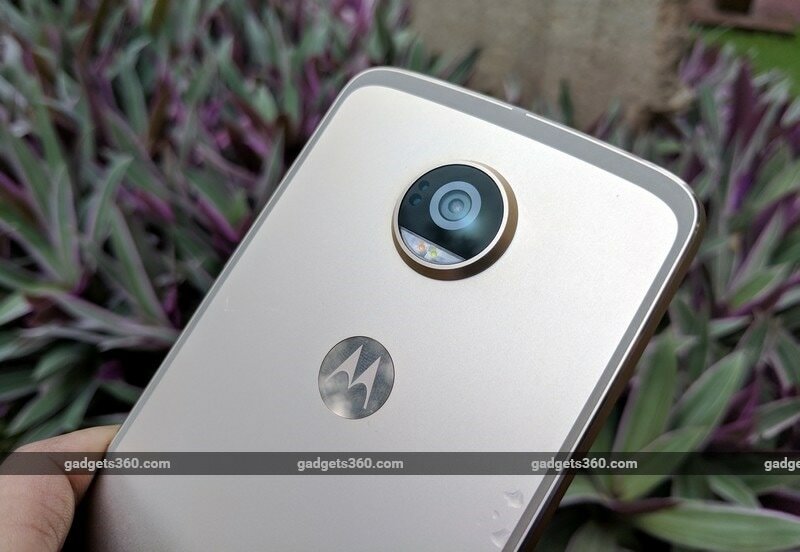 Lenovo-owned Motorola recently launched the Moto Z2 Play in India. 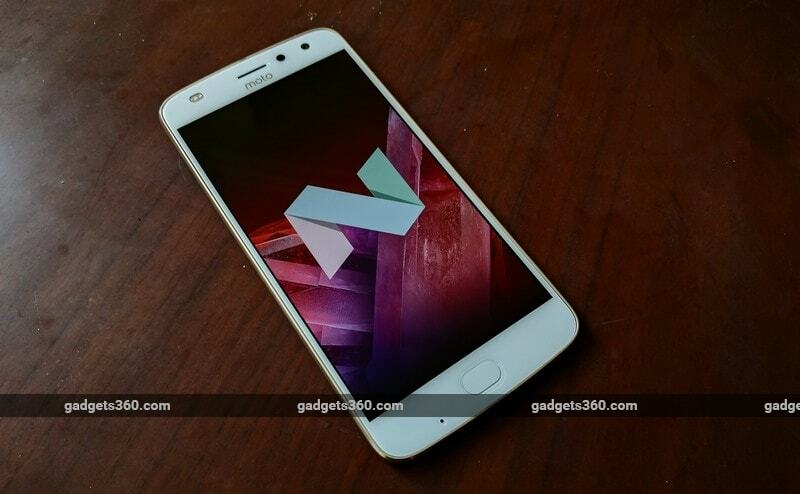 The phone it replaces, the Moto Z Play (Review), was quite popular for offering brilliant battery life and good performance. 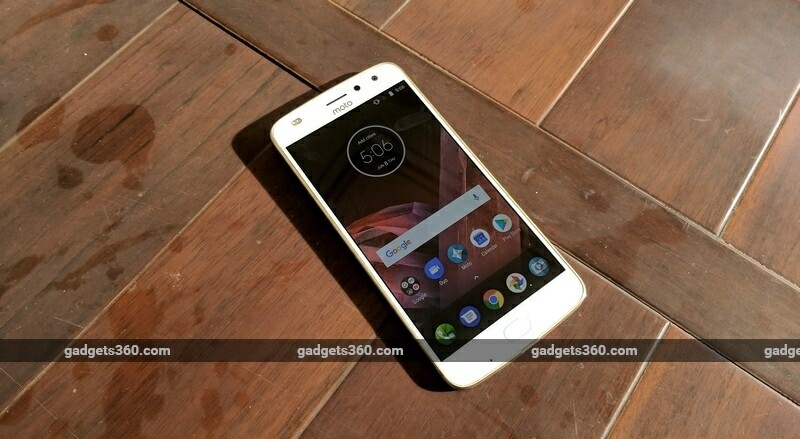 Priced at Rs 27,999 the new Moto Z2 Play improves on the hardware of its predecessor and gets a sleeker design, but most importantly, it supports all Moto Mods made till date. We got to spend some time with the new Moto Z2 Play at its launch, and here are our first impressions of the device. The design of the Moto Z2 Play is quite similar to that of the Z Play, and this has a lot to do with the Moto Mods ecosystem. To ensure that the Mods launched last year are compatible with the new phone, Moto had to retain the same height and width, with the connector pins in the same location. The only way this phone could change was its thickness, and Motorola has gone ahead and done exactly that by shaving a millimeter off it. The original Moto Z Play was 6.99 mm thick while the Moto Z2 Play is slimmer at 5.99mm. This has resulted in a hit to the battery capacity, which is now down from 3510mAh to 3000mAh. On the other hand, one positive effect is that the new phone weighs 145g, 20g less than the Z Play. The front of the Moto Z2 Play sports a 5.5-inch Super Amoled display with a resolution of 1080x1920 pixels and Corning Gorilla Glass for protection. It's vivid, and the viewing angles are quite good. Sunlight legibility could be an issue as we found ourselves hunting for the brightness control when outdoors. Below the screen is a fingerprint sensor, which Moto says has been elongated on the sides to allow better detection of gestures. Moto Actions give users an alternative to the traditional three-button Android navigation scheme, in the form of gestures using the fingerprint sensor. This frees up some space on the screen for more content. You can swipe left on the fingerprint sensor to go back, swipe right to pull up the app switcher, and tap to go to the homescreen. You also have the option to long-press the fingerprint sensor to lock the phone. The learning curve is not as steep as we initially thought it would be, and we got used to this method fairly quickly. To keep selfie lovers happy, the Moto Z2 Play has a 5-megapixel front camera with a dual-tone LED flash. There is a beautification mode which can help selfies look better. It looks like the Moto Z2 Play misses out on a notification LED, as we couldn’t find one. At the back, towards the bottom, there are multiple rows of contact points for the phone to interface with Mods. In the center of the top is the same large camera bump that we have seen in the rest of the Moto Z series, again because of the mods. The 12-megapixel primary camera's sensor has 1.4-micron pixels, and there's a dual-tone LED flash here as well. The lens has an f/1.7 aperture which should help capture better images in low light. Photos seemed to look quite good, but we’ll reserve our comments until we test the Moto Z2 Play thoroughly. The camera bump has a metal ring around it that keeps the lens from getting scratched when the phone is placed on a surface. Moto will also ship a Mod Shell with the Moto Z2 Play which adds bulk, but also makes the bump feel much less prominent. The frame of the Moto Z2 Play is aluminium, which gives it a premium look. What's interesting is that Moto has designed the antenna lines around the body of the phone, which is a unique and functional touch. The power and volume buttons are on the right, while at the top there is a SIM tray which can house two Nano-SIMs as well as a dedicated slot for a microSD card. The Z2 Play only has a USB Type-C port at the bottom, and the earpiece doubles up as the loudspeaker. The biggest change in the Moto Z2 Play, compared to its predecessor, is under the hood. Powering the phone is a Qualcomm Snapdragon 626 octa-core processor clocked at 2.2GHz, which is an updated version of the Snapdragon 625. There is 4GB of RAM and 64GB of internal storage, which you can expand. In terms of software, the Z2 Play runs pretty much stock Android Nougat. Moto has only preloaded a set of Google apps which don’t get in the way at all. In our very limited time with this phone, we enjoyed using the Moto Z2 Play. The fingerprint scanner is accurate and is quick to unlock the phone. There was no stutter or lag when multitasking. We're also happy to note that quick charging is supported, and there's a 15W turbo charger in the box. It looks like the Moto Z2 Play is on the same track as the phone it replaces. The internals have gotten better but so has the competition. The Samsung Galaxy C7 Pro (Review) is the closest match to the Z2 Play, and although it does not offer modularity like the Moto Z2 Play, it has a lower asking price. Stay tuned to Gadgets 360 for our full review of the Moto Z2 Play. Disclosure: Lenovo sponsored the correspondent's flights and hotel for the event in Goa. product Moto Z2 Play is powered by a Snapdragon 626 processor, has 4GB of RAM and 64GB of internal storage.